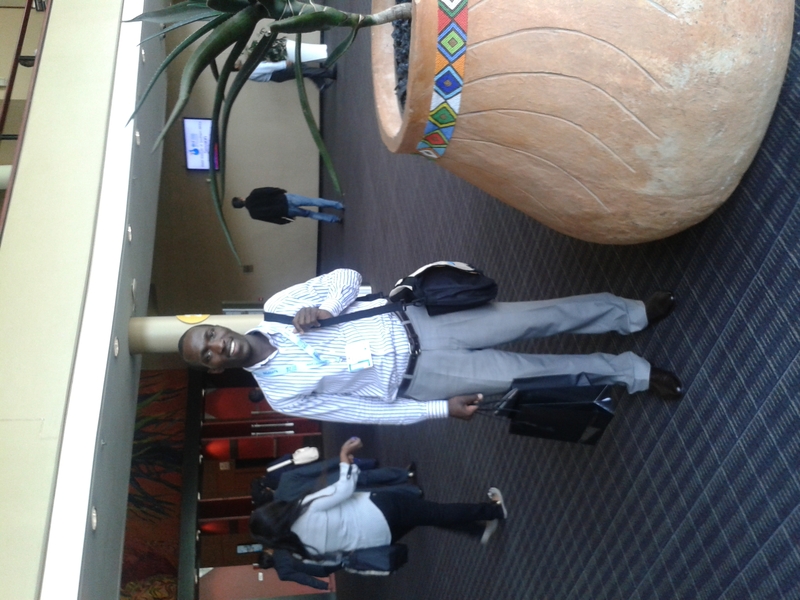 iCOMMS team member Hosea Arito attended and presented at the Water Institute of Southern Africa (WISA) Biennial Conference and Exhibition, held at the International Convention Centre in Durban, South Africa. The event occurred from 16th to 19th May 2016, and he gave a presentation on his master’s research paper on May 16, 2016. 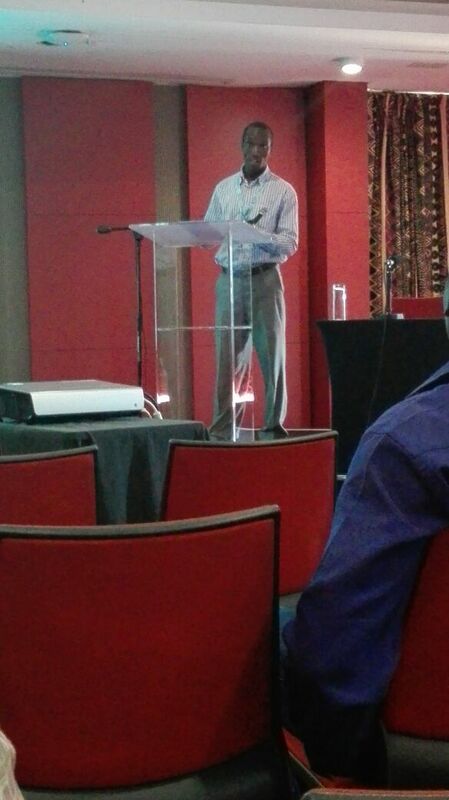 His presentation was titled “Effects of Water-Related Information on Water Conservation at Household Level.” His study investigated an innovative intervention (called the “Drop Drop” Application) for facilitating water demand management at household level. 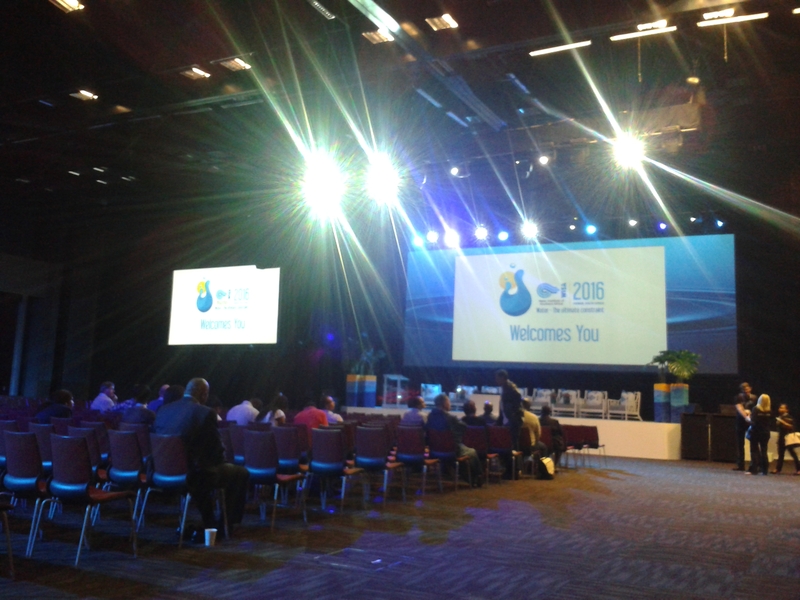 The Application provided the water-related information which was utilized by the sample population in the City of Cape Town to manage their water demand, during the period of study. The study illustrated that opportunities for extensive and consistent water conservation participation at homes could be realised if water conservation information was presented through media which were easily and mostly accessed by water users (such as mobile phones).